Home Tags Posts tagged with "body scrub"
Hey peeps! How are you all doing today. Today’s post is filled with amazing fragrance, but for that you need to try the product about which I am going to talk about now. I am talking about Coffee Sugar Scrub from the house of Skinsense – Natural Luxury. I had already finished using this product and it got delayed for me to publish the review post on my blog. I am sure they must be little angry with me. Let me give them a big smile now 😀 (hope this works. Anyway, moving on with the review now. Let’s get this post started right from here. Product Description: An exhilarating anti-oxidant scrub with freshly ground coffee from the hills of Coorg, cane sugar, and blend of nourishing oils. A heady scrub that promises to smoothen and plump your skin, help reduce the orange-skin look of cellulite, helps relax and calm tired muscles. Regular use has shown a drastic reduction of the orange-like dimpled skin on affected body parts and also helps lymph drainage, making your sore muscles feel rejuvenated and you feeling lighter. How To Use: Take a small quantity and scrub well into cleansed skin, especially the problem areas like stomach, thighs and buttocks. Rinse and pat dry. Follow up with one of our Body Butters for excellent results. Only for body, not for the face. Ingredients: Key ingredients are fresh ground coorg coffee, cane sugar, custom nutritive oil blend, Vitamin E, and their secret circulation-boosting ingredient. Skinsense – Natural Luxury Coffee Sugar Scrub comes in a transparent tub with an air-tight lid. The packaging is simple and not much has been done with the creativity. A sticker is surrounding the tub, on which all the details about the product are written very clearly. The sugar granules are very finely mixed in the mixture, so for the people who have sensitive skin, they can easily use this scrub on their skin. Whenever you open the tub, you will be showered with amazing fragrance of the product. Sometimes, I really used to feel that this needs to be eaten up and then, I controlled my emotions. Phew! The texture of the scrub is obviously not way too smooth as your skin needs to flush out the dirt after you apply it. It cleanses your skin very well. The consistency of this scrub is also very fine. This tub lasted for 5 months for me. 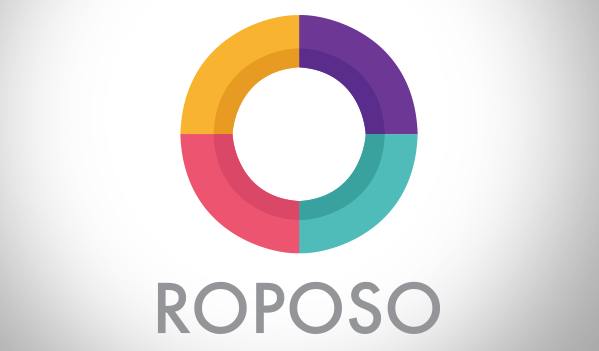 A very small amount of the product is needed when using it, so it is like a savior on its own. If pampering your skin is the passion you own, just like me, then you need to try this product. This tub is worth buying. It might look costly but once you use it, you are going to fell in love with it. The goodness of oils and the strong fragrance of coffee just refreshes from mind and soul from inside. And this is homemade, so you are not allowing any harmful chemicals to enter your skin. Skinsense – Natural Luxury Coffee Sugar Scrub is a must have product to buy. I would highly recommend you to give this product a try. You will surely going to fall in love with it. Have you tried Skinsense – Natural Luxury Coffee Sugar Scrub? Do share your views and experiences in the comments below. Disclaimer: Product sent by the brand. All views shared are my own and not under the influence of the brand. Hey guys!! I hope you all doing very good!! People always ask me what I do for my skin that it’s so soft and healthy. And I just give them a sweet and big smile. Lol!!! But the truth is I really take care of my skin and I love using all skin care products to make my skin soft and healthy. I use hell lot of products for my skin and the foremost thing is body scrub. 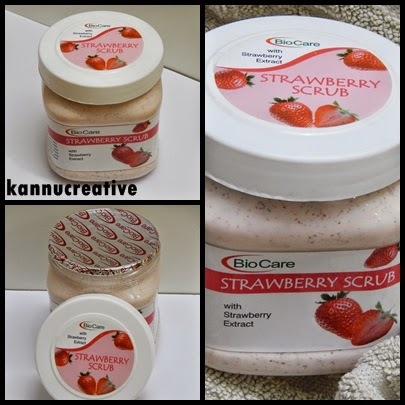 Today I’m going to review Bio Care Strawberry Scrub. Let’s have a look at the product first. PRODUCT DESCRIPTION: This scrub is a luxurious blend to treat your skin. Blend multi-fruit enzyme to smooth away dull surface cells. Fine micro-exfoliating particles delicately draw dirt away and impurities. Fresh strawberry fragrance gives you a boost. Gentle enough for daily use. MY EXPERIENCE: Basically this scrub is meant for facial purposes, but it can also be used as body scrub as well. I do use it as a body scrub and there are absolutely no complaints as such. The micro-exfoliating particles in it are so fine which doesn’t hurt your skin at all. Packaging: It comes in a big transparent jar like container with a white cap. On the top and around the jar, you can read about the product in detail. It’s not travel friendly as the jar is very heavy. Plus I didn’t liked the fact that I need to dip in my hand to pour out the product, it sounds unhygienic. I would prefer it to be stored in a large tube packaging. Texture: It contains micro-exfoliating particles which does not hurt your skin and has super fine texture. Consistency: It has a running consistency and when applied with some water mixed in it, it performs its job pretty well. Price: Very much economical. In just 195 bucks, you get 500 ml, that’s pretty much a healthy quantity to have at such affordable price. Worth buying!!! Right??? Fragrance: The minute you’ll open the lip of the product, your smelling sensation is fully loaded with fresh fragrance of strawberries. It smells delicious. Results: You really require very less amount of this scrub so the product would run for longer period of time. After the usage of this product, you will experience the difference for sure. Don’t worry; the experience would end up with positivity. The best part about the scrub is you can use it as both facial and body scrub. FINAL VERDICT: If we look at the price tag, I think you can’t expect more than this. I would recommend this to all those who want their skin to be soft, healthy and hydrated. Thumbs up for me. Do share your views on this Bio Care Strawberry Scrub in the comments below. Have you tried this product?? If yes, then what is your take on it? If no, will you give it a try??? Disclaimer: I bought this product with my own money. This post is not sponsored, promotion of the brand or in influence of the brand. Hey everyone! I hope you all doing great!! Today I’m going to review H2O Plus SPA SEA MOSS BLACK & BODY SCRUB. If you have checked my previous posts, you must read about what I got on my birthday (check all the presents I got here) and this was one of the gifts I received. So, here I’m with the review. Let’s have a look at the product first. AVAILABILITY: H2O Stores in Select City Walk and online on purplle, h2oplus website, snapdeal, flipkart, nykaa, etc. PRODUCT DESCRIPTION: This rich volcanic scrub reveals skin that feels remarkably smooth and invigorated. Micro fine black sand derived from cooled lava gently exfoliates dull, dry skin. Irish Moss blends with sea salt, aloe vera and Provitamin B5 to deeply hydrate, soothe and revitalize. Hints of fresh water lily and lush marine accords lightly scent the skin. TEXTURE: When applied, you can see and feel the scrub granules in it and after its usage, your skin is left smooth and hydrated. Massage over body in circular motion while in shower or bath. Then rinse off the product with water. Use a towel to soak off the water. Your skin is left smooth, nourished and hydrated. PACKAGING: This is a sample size packaging, you can find other sized packaging too. This is what I loved about the packaging. Sample size packaging is very nice for those who haven’t tried any particular brand/ product. 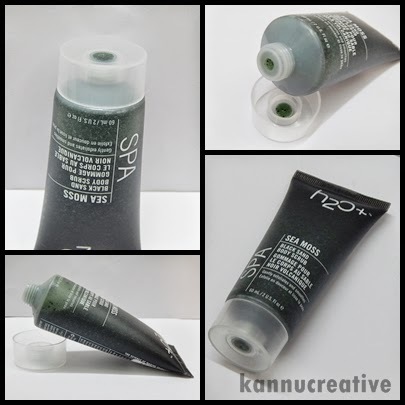 It comes in a tube packaging with black color cover all around with white font along with a plastic cap and a whole at the top to pour out the product. On the front and at the back sides, you can find the details about the product. MY EXPERIENCE: As mentioned above as well, I have used this product thrice, I’m loving the results. The product won’t disappoint you ever, that’s for sure. This scrub leaves your skin so smooth and hydrated. I really liked the product and the results. But the only thing, which I didn’t liked about the product is the packaging. It must have a small whole because as soon as I open the cap, little of the product is already pouring out and due to this it leads to product wastage. I wish they improve in the packaging thingy. And if you travelling, you just can’t carry it. It’ll be hard for travelers as the packaging is not travel friendly. And if you still wanna carry it, you need to very careful to avoid product wastage. Plus you need to store it at a particular position, otherwise again it will lead to product wastage. You need to store it at an erect position with cap on the upside position. Leave your skin smooth and hydrated. Will not hurt your skin. Packaging not up to the mark. DEMO & RESULTS: Here I prepared a collage for the demo and the results. Have a look. Do share your views on H2O Plus SPA Sea Moss Black And Body Scrub in the comments below. Have you tried it? If yes, then what is your take on it? If not, will you give it a try?